Here are the files for both clergy meetings with the Apostolic Delegate. Archdiocese of Agana, Clergy meeting with Apostolic Delegate, July 15, 2014. Excerpt: Fr. Francesco's "they eat too much...they spend meelions of dollars with food" speech. 7:15 - Archbishop Martin Krebs explains his role and purpose of trip. Says "Guam is a diocese at war." 11:45 - Msgr. David I.A. Quitugua (the elder): here’s the problem – no unifier. Archbishop Apuron IS THE PROBLEM! UncleScrewtape: (whispering) wormwood, I see you have done well with the good house of Joseph, but be subtle and do not inspire an awakening of the prayerful ones, for their intercessor as you know can swipe the lot of you little waifs, if you have to, call upon your brother LEGION, for he will attend to you at once. There is already notice of your doings in his parish and they are now forging with his Brother Francis! Let LEGION take the lead on this, spread our errors throughout the land of SanVitores, but be gentle and they will acquiesce to your intrigues. Wormwood: Of course Uncle, LEGION has already shown me a trick or two in Pride, Arrogance, Lust and Greed. He is quite the teacher. We’ve already weaken the one with the Mitre, a little more apathy and indifference for his flock and we shall receive him into our fathers house below. UncleScrewtape: heheheh Wormwood, if I didn’t know any better I swear you had some good in you…but you will be greatly rewarded upon our reception of the Heir of Peter….HHAHHAHAAH…once he is secured to us the rest of the flock will follow! OH the punishment is GREAT for this one for he is charged to be the Light of our Enemy for his flock. Remember Wormwood, do not permit his ordained ones to preach of us and our plan of destruction. The more their minds are numb and do not see our existence the sweeter the end will be. Wormwood: Yes Uncle, the wolves are already in our enemies House and slowly devouring the unsuspecting, and dissident abound with the prudent use of morality and indifference for their Holy Sacraments. We will continue to blind their minds of the truths of our dwelling below where the soul roasts for eternity and the pains NEVER ENDS! UncleScrewtape: Wormwood! You little devil! The Holy Spirit worked again.....what a a miracle and didn't cost a cent! I just love these miracles! Everything is now coming to place! Evidence is what you have and no evidence is what Archbishop lacks! Good work! I am so proud of Monsignor David IA, Father Efren, Father Richard for speaking up. I am very sadden that the Arch wants to keep these information a secret. These are my priest, my church and my parish. I am glad that they are making statements about how they are treated. Others need to start speaking. In time they all will be canned for neo priest. Something needs to get cleared up. In the meeting, Monsignor Arroyo states that the NCW masses are approved by Rome. The archbishop also states that it is approved. Archbishop Kreb does not refute their statements. Mr Tim has stated that it is not approved. So what is the deal? The ncw is approved to celebrate the liturgy as prescribed in the statute. The archbishop does not adhere to that prescription. And he knows it and so does arroyo. After hearing the 2nd meeting, it seems that the NEO priests did not offer any kind of solution but instead were full of testimonies! On the other hand the Non Neo priest were voicing their concerns and throwing out different types of solutions to the problems. Who now made the effort to help build bridges? from this taping, I now see that the Neo Priests will not budge! They are the stopping blocks of all this with the Archbishop backing them all the WAY! I found Pale' Richard's suggestion of having two vocation directors as a possible solution. I hear Msgr. Q. the elder say that the people are to be shepherd are one flock and not as a separate flocks. I hear the pain of the Deacon who is made to feel like a second rated Catholics. Father Efren spoke about the fact that they are not there for themselves but for the people, I admire these two young priests who spoke out regardless of the axe they were facing. The Archbishop needs to stop listening to the hierarchy of the NCW and begin to take a hold of the Archdiocese as a true Shepherd. It is his duty as the Head of the Church on Guam. The Church's affairs does not belong to Kiko, Father Pius or the Genarrinis! We are a people who are patient as stated by I believe Father Efren. We are a people who are proud of who we are! We also take pride in our culture and our faith. When one sees that there is favoritism, then problems will arise. This has risen far beyond anyone can imagine. I doubt that the problems will be resolve any time soon. But we will no longer be quiet and be stepped upon. We will fight until the FAT LADY SINGS and fight to the finish we will. Listened very carefully to Neo Priests put good earphones trying to decipher what they were saying. Not too much luck. How to parishoners put up with this. It is difficult to understand. Sorry to say. Archbishop noted two pastors did not attend...uh, oh. Guess I wouldn't want to be one of the two. @1:40 am even tho NCW think they have a claim on clapping. We can clap too! Big clap, clap, clap Frs. Mike, Jeff, Rich, James, David and Dcn Steve. Clap, clap, clap. Let's reclaim our own clapping! But calm down, dancing not absolutely necessary. Yes, we must clap for these men! As for Deacon Claros, well he is another story. Go ahead and stay with the WAY. You have not accomplished anything in Toto. Weren't you sent there to start a community? Guess the parishioners barked loudly....their bite is worse than their bark and not the other way around! Can't help but notice deacon Tenorio's comments. Keeping my eye out on him. 9:04 I'm sure the good deacon has reaped the benefits of being a faithful servant to AAA. Deacon Tenorio is brainless always was and always will be. Only question for deacon is . How much have you been paid for silence? Deacon Tenorio is a servant for the LORD. He is committed to feeding the poor daily. He grew up in a different generation. Agree or disagree with the Deacon. Just stop with the personal attacks on him please. He is still an ordained Minister that should be respected. Deacon Tenorio is an astute businessman. Instead of selling authentic brand name jeans for a few dollars at Kamalin Karidat, he asked a business owner to sell the jeans to Japanese tourists who pay top dollar for these jeans. His personal assets have grown over the years while serving the church. He is truly blessed. archbishop has removed respect at this point for who is ordained .Respect for the ordained no longer applies in this cold war because he was the first to remove respect. So if you want respect you tell him to bring respect back. Respect no longer has a position . We have gone beyond respect now. 3.30pm are you saying the deacon is operating some sort of a garment sweat factory selling brand name Jeans to give money to Tony. 5:50 They were used jeans donated to Kamalin Karidat. Yes, please stop trashing Deacon Tenorio, and the others too. It's sufficient to say that we vehemently disagree with Deacon Tenorio, and acknowledge that he's probably very angry with us. But the insults hurt our cause. Agree wholeheartedly with Chuck! Thank you! It's like what we know as enabling statute for an agency. For example the Guam legislature passes a law and creates an agency and says the agency can operate as long as it does only A B and C. If the agency goes and does D instead then it is acting without authority or beyond authority. Similarly the Pope approved in 2008 a statute for the way to exist as an approved catholic group. Thus all the talk about being approved. The problem we (Tim and others) have is that NCW is in fact not following the approved 2008 statute they are thus operating in reality and practice without or beyond authority of the pope. Approved by the archbishop. Which means he too is disobeying and invites us all to acquiesce or join the cult. Then they should state the truth. The Archbishop is our leader and he spins the truth to mislead us. Yes, they should state the truth, however, they've convoluted the truth with lie upon lie upon lie. If AAA were really a loving "parent" to us children, he would know that even if the truth were painful, the little "sting" would not feel like the "betrayal" it is now. Listening to Father Efren, it seems that when the pro NEOS speak they always talk about themselves. When the anti NEOS speak they are concerned about the parish as a whole. The Archbishop talks about going to fiestas to meet the people, what bull crap. Invite him to talk to the parish, what bull crap. When he is in public, he is very illusive. He runs from the crowd. He is not approachable. He won't even go to the radio station and counter Mr. Rohr's comments about him and his administration. He sends that liar and tyrant Adrianne. I don't trust that guy, he is an expert in bull crapping. His bull crapping is getting watery and going down the drain. When a congregation does not follow the liturgy as prescribed they become protesters of the church. Just as England did when King Henry VIII wanted to divorce his wife, he started a church and they were called Protestants. The NEOS are therefore Protestants. I totally agree and more and more people are starting to see it too. Pale Jeff! The voice of reason! This is another great way to acknowledge that there are fruit of the NCW, but that these testimonies are irrelevant to the topic at hand. I would even go as far as saying, that once it is understood that these pro-NCW testimonies are not appropriate for the context of the discussion, any further like testimony presented merely becomes vanity. Like Pale Jeff stated, to those walking who can't understand (or refuse to understand) the situation with the Archbishop and others, it is suggested they stop viewing the situation solely through the prism of the NCW. Now Diana does not think that a second seminary was a waste of money! She gives credit for the vocations of those who are entering the Capuchin order as well as those who will be joining Junee at the diocesan seminary! Seems to me that after throwing mud at the Non Neo Priests for not doing anything constructive, there is now praise be to God, for the Archbishop has worked miracles in producing or attracting young men to the vocation of the priesthood. What a turn around! Oops, just want to pretty up the picture where the Archbishop is concerned! Now that we have more young people joking the Caps and who are interested in the regular diocesan priests, we can now say no more influx of seminarians from the outside. Concentrate on the local boys! I am really upset over how the Redemptoris Mater Seminary was touted to be an ideal place for our young men to be prepared for the priesthood when it actually is a Neo seminary to benefit the NCW and their mission. I feel betrayed. If we had known this earlier there would have been an outcry against its acquisition. We were duped! Pray for vocation perseverence it is a long road to Ordination. Pray, pray, pray. Many years ago, my Grandma who did not have a son, paid for the entire education of a Priest. He was a military chaplain in war and built a beautiful church as a long time Pastor. Just an idea. Pray and support. Maybe one day we can use the Yona property for the reason it was first aquired to be an Archdiocesan Seminary. I mean since it didn't cost a penny. Change that sign. Saint John Paull II Archdiocesan Seminary. Or maybe we can put on our business thinking caps and sell the property and let the Church grow from the proceeds. Note my suggestions don't show the 500 neo members. Now that they are evangelized they can join thier Parish family. I'm done, Thank you for reading. Anonymous 8:34 You are correct we were duped into supporting the RMS. Imagine my horror after having donated thousands of dollars over the years to the RMS seminary to realize after Fr. Paul was fired that I had unknowingly contributed to the destruction of the real Catholic Church on Guam. The NCW thrives on deception, not Jesus. 9.03pm. Sorry for you yes like so many you were duped by a private sect operating under the Arcbishop. Thousands of dollars you wasted giving to a sect would better have been used serving the poor . However, suggest you now stop giving money to the sect. Archdiocese of Agana Guam is at war Archbishop Krebs and soon you will see why. Archbishop Anthony seems smug when he tells people soon they will see the truth. SMUG. Wonder why? Hope there is no "October Surprise" ...let us pray. We may just have a new version. Of "RED OCTOBER" or " COME SEPTEMER"
Archbishop Apuron has created an Archdiocese of Moral Decay. He is directly responsible for a church in moral crisis and must be accountable for his failed leadership and lack of financial accountability. WOW, I am so proud and happy Father's Mike C., Jeff SN, Richard Kidd, Monsignor James and David (elder) as well Deacon Steve M. You guys stood up for our Church and her people. Thank you and we will stand with you. And so proud of how Father Richard Kidd immediately put a halt to the archbishop's putting down of the St. Patrick seminary. Way to go!! Sometimes this is what needs to be done in order for the arch to think about the things he says. @7:30 am Fr. Richard defends well, but can he overcome Father Pius going around telling lots of people the reason for not sending men there is because of all the "gay" problems? Hope so. Wait a minute, since when is PIUS in charge of where Diocesan vocations are educated. HUHHH? Guess Pius can't help it. G-Y is one of his favorite topics. You guys are being disobedient. The Archbishop can say anything he wants. He can accuse priest of homosexual activities. Do not blog because it is gossiping and is sinful. Let's follow him straight to hell. 10;26 Ha ha ha. Sorry. Too hot in hell for me to follow him. Already uncomfortably hot on Guam and getting hotter. 10.26am heading for hell lol. God help you . Now I am really upset! To hear that Pale' Richard was not even covered under Health Insurance! What a shame! Let me rephrase it...WHAT A DISGRACE TO THE LOCAL PEOPLE! The Archdiocese can insure the influx of foreign seminarians but not a local! I do know of another who was not covered also, but I will refrain from mentioning names! Get your priorities straight Archbishop! This is a fine example of you favoring one over the other! I am so mamalao to even say I know you! Would love to hear Archies excuse. His fellow priests at the meeting should have done something about that all those years. My goodness. War within the Arcdiocese is like the cold war. To have any priest without health insurance is seriously wrong and if this is the case for any priest today we need this exposed to readers. 11:20 I was concerned about that too. If they work "full time" isn't that a given. Didn't Obama Care have something to do with getting Insurance? I believe the church is putting priests at risk. Members are put at risk for not having spiritual needs met too if priests basic needs are not met. When Oh When are things going to be straightened out. Somehow I have a feeling that someone other than archie the priest's boss will get blamed for it though if it goes to the media or Dept of Labor. Catholic school teachers get health insurance - what more the teachers of the Catholic laity?? 12.33pm question will be answered at some point. Thank you. Keep posting. Are you saying when Pale Richard was in St.Patrick's he had no health insurance? Yep, he was not covered under any health insurance from the Archdiocese of Guam. Shocking . There must never be a time where any seminarian or priest should be without health insurance. Fr. Wadeson as an incardinated priest of Guam should still be given health insurance. Contacted the archbishop of San francisco and informed him that fr pius states the San francisco seminary is a Gay seminary. Does Cordileone know Pius? Bigger question, does he know where is Wadeson?? @q10:17 if you wrote, good for You. No one knows where Wadeson is. Surprised Apuron removed Monsignor James. Monsignor James is aware of the dark secrets of Anthony Apuron, he kept them quiet in his 20 years as rector of the cathedral. Will he continue to keep silent about Vincent now. What a disgraceful shambles archie has created. We certainly can see how some of our priests pushed fear aside, when they courageously stood up for integrity. This shows a small snippet of what they have had to endure. We definitely need archie's boss back or someone equally qualified who can take the lead to turn things around. Obviously archie does not possess the needed skills of leadership. archie's boss was spot on "this is war". Calling all Roman Catholic Warriors island wide. Fright For The Freedom of Your Roman Catholic Church. 11.18am this is now a cold war it is a fight for freedom from a communist dictator who allowed a communist sect into this community. It is a war now. Archbishop Krebs is very much aware and soon the war will go beyond this blog. .
A non violent army needs to be formed now to stand against this archbishop. Heading for another episode of the "War of the Roses". Cold war better term than "War of the Roses". Question become who will bring peace at the height of the cold war? This will never end! Diana is so infatuated with the gifts and productions of the RMS. The gifts of poor homilies. The gift of little or no contact with non Neo communties and the gift and not spending meelleons and meelleons of dollars on them. DAMM, the gift of poor homilies causes my hemorrhoid a to flare up by sitting too long and listening to nothing useful. The gift of little or no contact is actually a blessing for me. The meelleons and meelleons of dollars I spent on whatever is for my comfort. If the Archbishop can live in comfort so can I. If you want meelleons and meelleons of dollars get a part time job! Speaking of poor homilies, I am 99.9% certain that Fr. 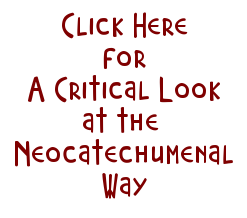 Jucutan's homily yesterday was written for him. He read it word for word and he said so many things that were so uncharacteristic of his usual homilies. It was semi-half decent for once!!! If anything, these recordings prove the existence of a division in the Archdiocese of Agana. 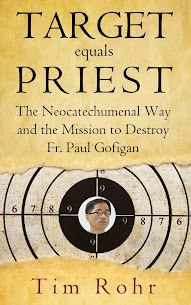 I thank God for the courage of the Non-NCW priests who spoke up, beginning with Msgr. David I.A. Quitugua! In the 49 years I have known him, from the time he was my Religion teacher at AOLG to the present, I have never heard him speak as authoritatively and forcefully as in these recordings. His normally soft-spoken, gentle demeanor gave way to a no-nonsense one when he put the brakes on Deacon Kim's dog-and-pony show and then informed AAA that HE is at the root of the problems in the Archdiocese during Meeting #1. He expounded on that concept in Meeting #2 with the same authority. I marveled as I heard how my easy-going Classroom Teacher had transformed into a seasoned and determined Battle Warrior. I believe those in the room were amazed at that transformation and drew strength from his words. It was clear to me that the Non-NCW priests — Fathers Mike Crisostomo, Efren Adversario, Jeff San Nicolas and Richard Kidd — and Deacons Steve Martinez, Bill Hagen and Len Stohr were focused on (1) identifying the problems and (2) suggesting solutions to help heal the division. On the other hand, the NCW presbyters (whose voices I do not know) and Deacons Frank Tenorio and Larry Claros were focused on protecting their NCW Brother Tony from "persecution" via their fervent testimonies of his paternal care for them, his availability to them as well as their love for him. To hear both AAA and Fr. Adrian deny the statement made by Deacon Steve — and confirmed by Deacons Bill and Len — that diaconate candidates were told to "walk" as a condition to ordination was incredible! Per AAA and Fr. Adrian, walking in the NCW was always "voluntary" but then Fr. Richard revealed that he, too, was told to "walk." In light of the fact that his entry into the off-island seminary was delayed 2 years because he did not walk indicates that walking in the NCW is anything BUT "voluntary." Listening to AAA and Fr. Adrian back-pedal made me wonder: "What is the status of Aaron Quitugua's path to the seminary?" Well said Mary Lou. An inspiration to this blog. Sadly while Msgr. Bibi has been heard to say that “THEE WAY” is just one way, his statement perpetuated the illusion that the pseudo-liturgy of the NCW is in conformance with the prescriptions of the NCW Statutes. It’s too bad nobody asked about the 2-step process in which NCW members “receive” their version of “Holy Communion” — (1) accept the bread while standing and (2) consume the bread in unison while sitting. Whereas in the Universal Church, one “receives” Holy Communion by accepting the Body of Christ on the tongue or in the hand and immediately consumes the Body of Christ while kneeling or standing (NO SITTING)! And, as much as I admire Fr. Eric, I must admit that I could not understand the logic of his suggestion of a regular schedule for clergy members to meet one-to-one with AAA. Doing so would put those who had the courage to speak up during these meetings at the risk of facing punitive actions by AAA! In light of the one-to-one meetings that AAA had with Fr. Paul and Msgr. James, I would recommend that any priest who is summoned to meet with AAA should bring someone along. To the above-mentioned Non-NCW Priests and Deacons who tried to make a difference and bring about healing during those meetings — thank you very much for your courage! You have made your positions clear and the faithful now know you are committed to bringing about an end to the division that exists in our Church in Guam. While I know that there are other priests — particularly those described as “visiting Filipino priests” — who may feel as you do but feel intimidated to voice their thoughts, the fact that you had the courage to stand and speak about these issues strengthens me to continue to articulate my own concerns in the face of insults and/or threats from the anonymous Kikos/Kikobots who lurk in the shadows of the Jungle. Please know that you now have a special place in my list of Prayer Intentions! God bless you! Thank you, Tim, for continuing to shine the Light of Truth here in the Jungle! Here is a question for you all. Perhaps someone will know the answer. Since RMS priests know the are Agana priests, diocecan priests, what if one discerned and decided not to "walk" any more?? Since Neo is not an order, can't they just stop?? Any precedent for this? Maybe some will if we get an ordinary who doesn't embrace them with all his heart! Would be hard though, because they are brainwashed. AMNESTY for Neo priests!! What happens if a neo seminarian wants to stop walking but wishes to remain a diocesan priest in the archdiocese? Can a seminarian continue to study in RMS for another pacific diocese? When I NEO priest decides to not walk in the Way anymore he is disciplined and sent to who knows where. Is that what happened to Fr. Santiago in Chalan Pago? I believe that Father Santiago was only borrowed from Japan. He is actually from the Diocese there! I was at the Labor picnic yesterday I met a good friend who happens to be Gay, he told me the Arch Apuron & his NEOs should stop talking about Gays. Arch Apuron has in his immediate family these are sons of his brothers & sister who are 100% GAY. But guess what Arch did? He disowned them & told them that he don't want to have anything to do with them! I trust my friend what he said because he is very closed friends. Unbelievable! Cold war interesting. Tony - Mao Tsetung. Wrong choice of words...should be Mao Tseton! Archdiocese in crisis . Only get worse . The situation needs to be defused. Archbishop amend the priest issues immediately.